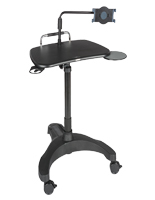 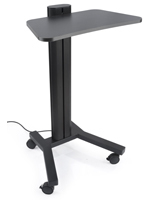 This laptop stand is sold at a great price for those looking for an affordable podium! 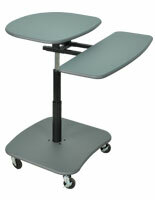 This model is designed for either books or laptops which rest against the raised lip on the reading surface. 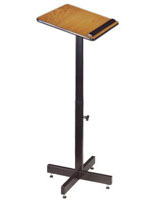 Adjust the height for comfortable presenting with the large knob located on the pole. 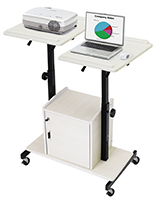 Four raised feet provide solid footing. 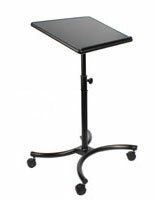 The laptop stand also features a rich mahogany laminate top with rubber edge moulding. 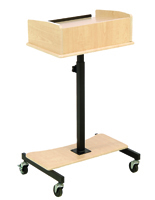 In all, a well designed stand for schools, meeting halls, and training rooms.